Why does FunnelFlux replaces my "Lander" + "Offer" groupings by another one in the drilldowns? 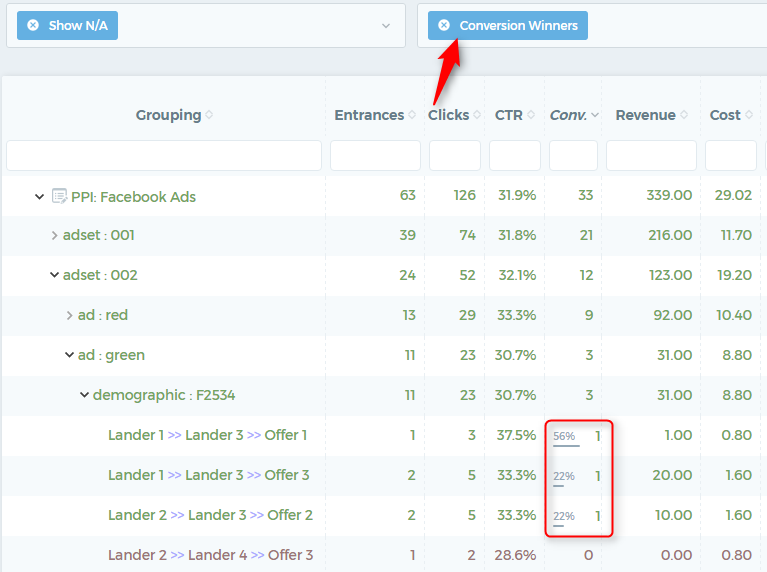 They are automatically replaced by the "Conversion Path" grouping instead. 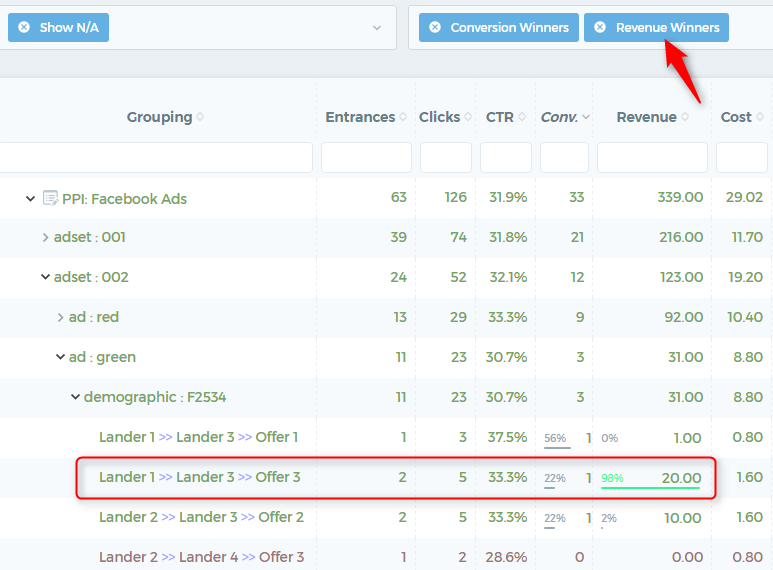 With such a simple funnel, the groupings "Lander + Offer" mean that we want to see the best combination to find out, for example, that Lander 2 followed by Offer 1 gives the most conversions/revenue. However, in FunnelFlux, "Lander + Offer" does not mean anything, because unlike all the other trackers, FunnelFlux doesn't force you to have an offer after a lander. Indeed, other trackers do not allow you to track the clicks from lander to lander, in case you have a multi-step preselling sequence. They also do not allow you to have redirect rules after a lander click, and so on. Otherwise, he is either redirected to Lander 3 or 4 for more pre-selling, and after a click on one of these landers, he is redirected to Offer 1, 2 or 3. Now this gets interesting and hopefully you can see why the "Lander + Offer" grouping is not sensible in FunnelFlux, as after lander 1 and 2, we do not have an offer; we have a condition. And after that condition, we may go to an offer, or to another lander. This funnel is still quite simple. You can make funnels that are much more complex than this. 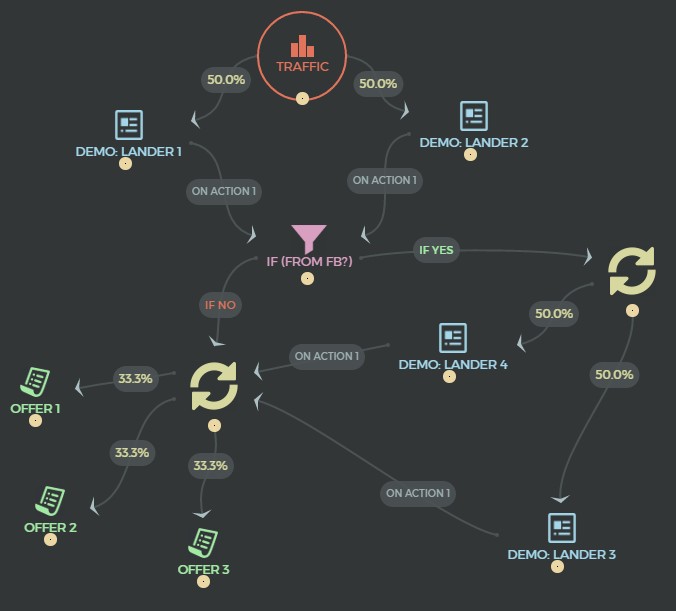 With such a funnel, how do you find out the most profitable path? By using one of FunnelFlux's "Conversion Path" groupings. 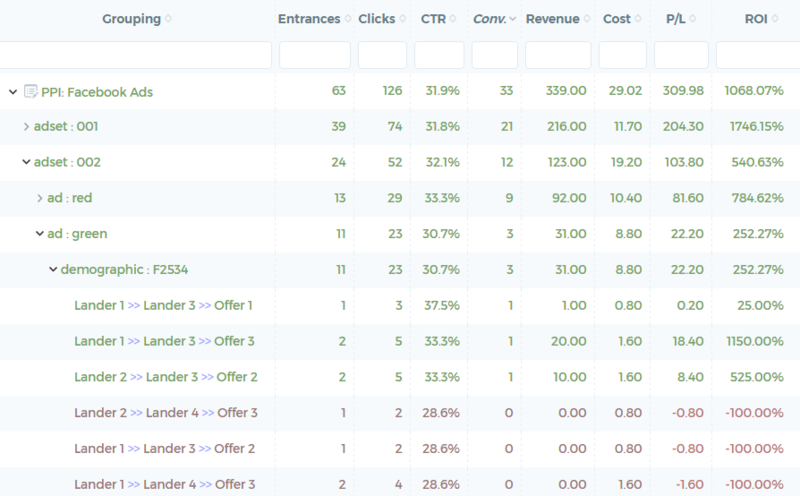 These will show you the entire paths leading to the highest number of conversions/revenue. FunnelFlux now tells us that, for this traffic segment, there is a 98% confidence that this path will bring the most revenue.